Rum is great. Especially if you want to try and forget that your soul has been removed and you’re wandering around a world full of pirates, tribesmen, strange monsters and frustration. 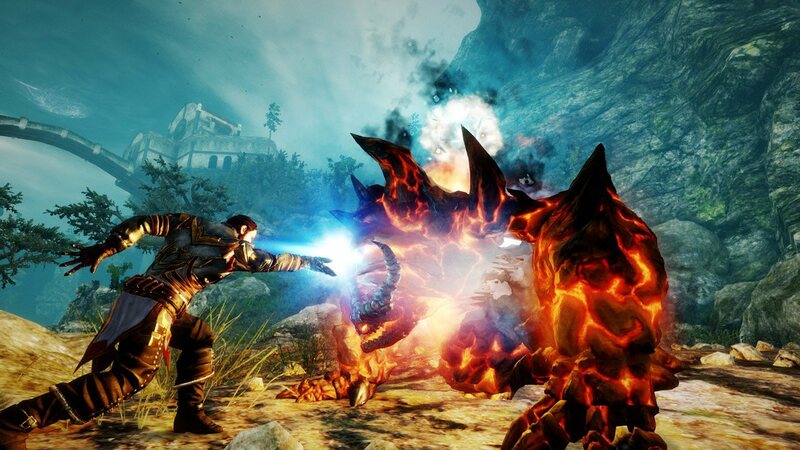 And rum plays a major role in Risen 3 Titan Lords. As do all those other things actually. Risen 3 sees you take on the role of a straight talking, impatient pirate who for all his love of the heavy stuff really needs to focus on one thing and one thing only…reclaiming his spirit from the darkness that is spreading throughout the land. That seems like a simple enough task but when you find yourself trying to do right by some wonderfully colourful characters, whilst traversing islands that are infested with many dangers, things get a little tricky. 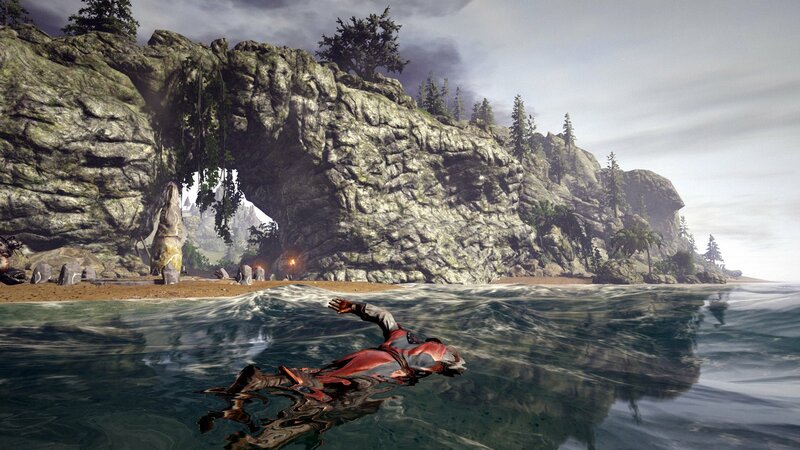 Risen 3 is rather remarkable you see, but not necessarily in the best of ways. In fact, if you take the game on it’s first few hours (maybe even as many as the first 5-6 hours), then you won’t like what you see. In fact, it’s a real struggle and that rum may come in handy. Played out as a third person roleplayer, you’ll immediately be hit with some graphics that remind you of the start of the next generation. Unfortunately, the next generation in mind will be that of when the Xbox 360 was the next big thing. The visuals aren’t great and whilst the islands you find yourself trampling through are bearable, the character models are on the whole something that harks back at least 10 years and we really shouldn’t be seeing that kind of thing in 2014. But we’ve said many times on TheXboxHub that graphics don’t make a game and we’ll happily stand by that statement. However, throw in some very dodgy voice acting (voice acting that can see a character completely change tone mid conversation for no reason), numerous loading screens that, albeit short, break up the flow of things far too much, a fighting mechanic that is simple and poor at best and a game engine that will happily pop something up in front of you with next to no warning and the future for Risen 3 Titan Lords isn’t looking great. But stay with us and stick at it as after the dodgy start, those Titan Lords begin to work their magic and things pick up to bring a game that is half decent. Just make sure you’ve got a bottle by your side and you should just about make it through that early pain. And the increase in enthusiasm is all down to the story and the enhancements brought about by the increased attributes and skills your character unlocks. The more you investigate the world in front of you and the further you explore those hidden caves, the more animals and monsters you’ll get to kill, the more glory you’ll earn and the more you’ll get to increase your skills enough to unlock bigger, badder magic and the such like. With eight various attributes sitting there waiting for you to level up, the way you choose to play the game is completely up to you. Of course, only the very best roleplayers hit home once you’ve managed to throw enough skill points into each category and this is the one real thing that Risen 3 excels at. You can of course focus on building your melee skills, the power of your ranged attacks or strength of armor or indeed play through in a completely different way and take on a larger magical presence, or use the old silver tongue to talk your way out of trouble. As long as you’re prepared to take the trouble to spend a little amount of time in the many many menus, then you’ll find a game that suits your style of play. And spending time in menus is something you’ll find yourself doing more often than not, even once you’ve settled on your favoured skillset. That is because no matter where you are in the game and no matter how far through the story you are, you’ll always have a number of quests open to you and there seem to be hundreds of the things available. 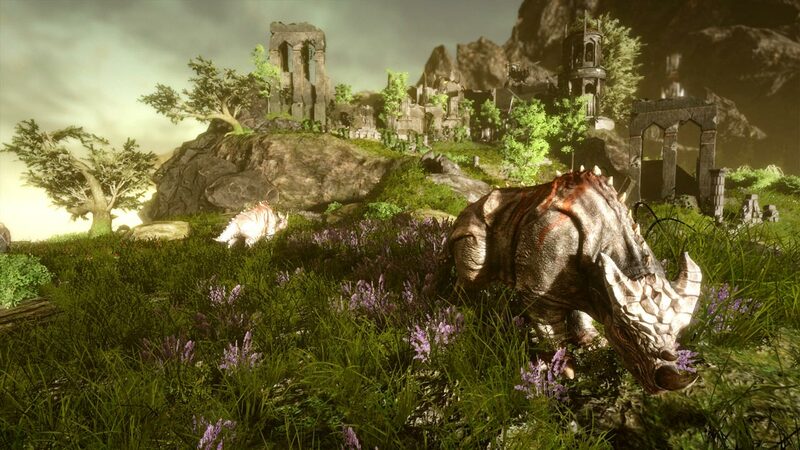 There aren’t many games outside of the real big triple A titles that you’ll find have quite so many quests as found in Risen 3 and whilst not all of them involve a great deal of work (some of the early ones in fact can be completed by just watching a cut scene), those found later on in proceedings require much traversing of the land, the partaking in numerous long winded conversations and the fetching and acquiring of plenty of loot. Unfortunately, with so many quests and with so much to do, you find yourself popping back and forth between the menu system and the actual game a little too often for my liking. If there were some way it could have been implemented a little cleaner then that would have been preferable but as it is, the constant to-ing and fro-ing spoils your rhythm, especially when the mini map you’re presented with during gameplay works so poorly. However, it doesn’t matter if you’ve just set out on a quest or if you’ve completed the vast majority of it, because at any time you can change your sights and set out on grabbing something completely different, visiting an entirely new area or chewing the fat with anyone you manage to stumble upon. Your freedom of choice is huge and you won’t find yourself struggling for options at any point. What you will struggle with no matter how far you progress though are the fighting mechanics. Simple at best is how they can be described and whether you’re fighting an oversized crab on the beach, a jaguar in the forest or some crazy large monster on another island the same issues crop up. Firstly, each and every thing you come up against attacks and defends in the exact same way, with little to no variation. Whilst this is all good to start with, once you’re taking down an adversary for the hundredth time a bit of boredom sets in. Additionally, very rarely do you feel like you’re actually making contact with your opponent and unless they are stuck in the corner of a cave (something which happens relatively frequently), you won’t know if a shot has landed or not. I mentioned earlier that the saving grace to Risen 3 happens once your attributes start gaining power and that of course means the power of magic. But again, much like the melee attacks, any magic that you impose on an enemy or indeed yourself is hit and miss at best and sometimes it’s better to just let your allies continue the fight as you stand back and watch. It’s a shame because if this was done right and the attack variation was a bit wider, I wouldn’t hesitate to point you in the direction of Titan Lords. And that’s even with the other issues considered. Occasionally then, a game comes along that goes right under the radar, pinging up only after its release as something that many treat as a cult title. 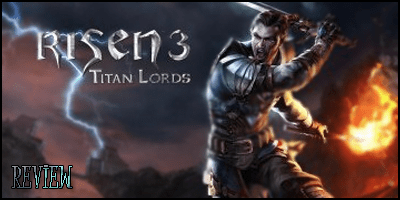 Whilst Risen 3 Titan Lords doesn’t get the basics right enough of the time to be a real classic, there’s bound to be a good few out there who will like it for what it is. A half decent adventure through a land of fantasy, intrigue and rum!